We are fortunate to be able to offer a bespoke cutting service on site. 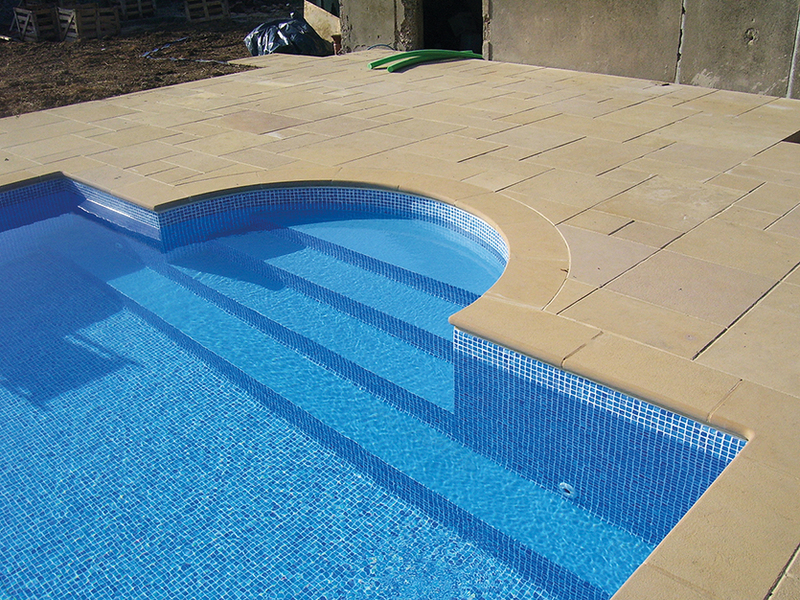 Our expert stonemasons are able to precision cut natural stone in to any shape and size. Whether you simply need to pave an awkwardly shaped area, or you want to bring your most daring designs to life, Lower Barn Landscaping & Building has the solution. In the past, we have created alfresco workstations, such as built in BBQ’s, pizzerias and outdoor worktops out of granite. The bespoke cutting service team can also create pool surrounds, stepping stones, fireplace hearths, back panels and slip sets, bespoke beams and much more. Step edges and coping stones for walls are available, with added rain drips to stop the brickwork underneath from getting wet. We can also cut brick slips (including corner pieces) and create upstands – which are similar to skirting boards, eliminating exposed brickwork as the stone can go from the floor to the edge of the counter, creating a slick and streamlined appearance. We often work from a template to ensure your exact requirements are met. 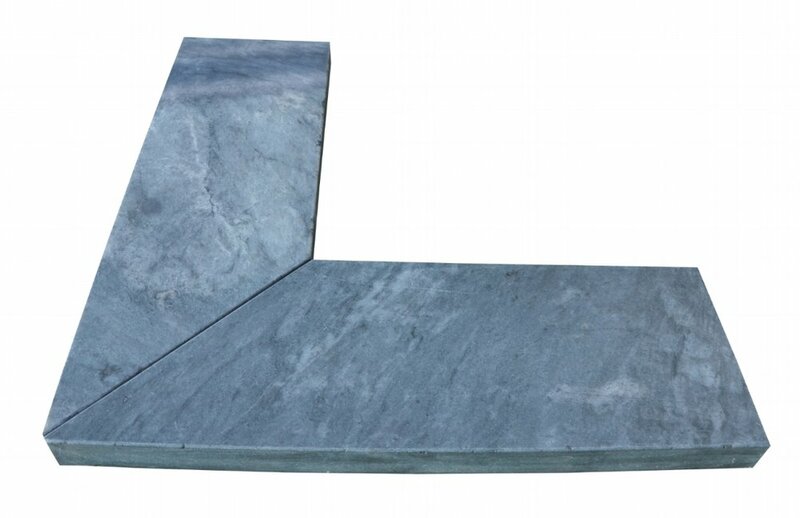 This could be anything from putting spotlights in the centre of steps, to creating mitered joins for a seamless finish. Our highly skilled stonemasons are able to put their high precision equipment to a wide range of uses. There are some limitations in terms of what we can and cannot cut, for example 50mm is the largest width for a bullnose edge, but those limitations are minor in comparison to the level of stunning work we can create. Our expert tools can create chamfer edges to remove sharp edges, as well as polish and honed edging to give the perfect glossy or matte finish. You can also bring your damaged stone – from a circle kit for example, we use the broken product as a template to bring your paving back to life. We can also work with porcelain – which is a service that not all companies work with as it requires that extra level of skill and detail. Our talented stonemasons work to a very high standard and ensure that every job is completed in a timely manner. We usually have a lead time of around 10 days depending on the job and materials used. If you have an upcoming project, please pop down and speak to one of our experienced sales consultants today about your requirements.